There are several different factors involved in providing safety supplies for workers. You’ll want to consider the work being done, possible hazards, and what safety products workers will need. When choosing safety equipment, there’s a wide variety of options available, including safety glasses, gloves, hearing protection, fall harnesses and lanyards, respirators, and much more. Workers may only need one safety product or a combination. With the right safety supplies from Gamka Sales Co. Inc., workers will be protected and happy to comply. 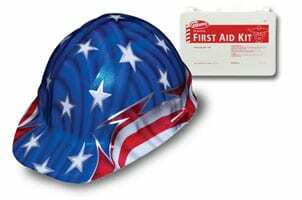 Call us today for all your jobsite safety supplies at 732-248-1400. We deliver to you.